- Arthur with Swagger - Charlie Hunnam is a gentleman, a hunk and a rebel, setting new standards as king and new rules with the ladies. 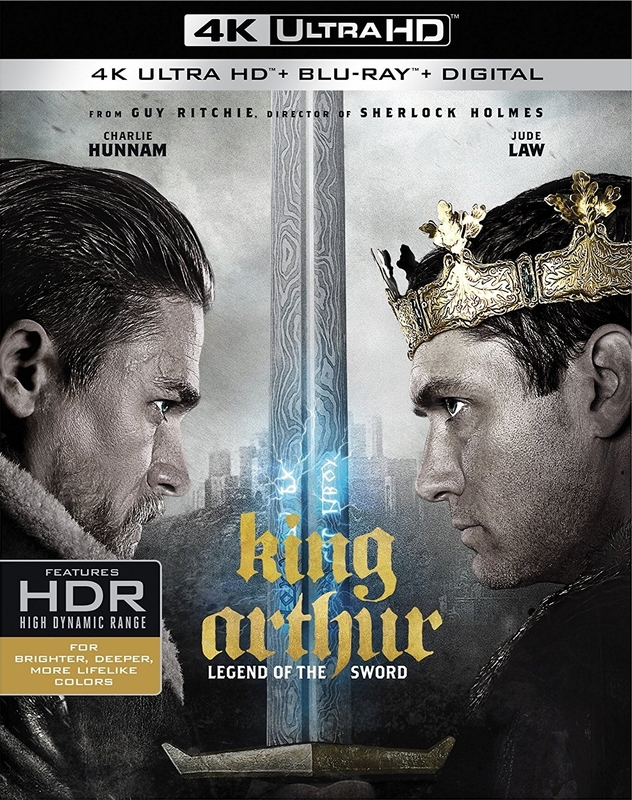 - Sword from the Stone - Director Guy Ritchie as he breathes 21st Century life and luster into England's most iconic legend and he creates Camelot for a new audience! - Parry and Bleed - Charlie Hunnam and other cast members get a crash course in swordplay. Vikings versus Saxons style! - Building on the Past - Londinium comes to life with a new design of Medieval Urban life, built from scratch. - Camelot in 93 Days - Friendships and romances strengthen and fray as the realities of a 93 day shoot set in. - Legend of Excalibur - The world's most famous sword is brought to life for a new generation. - Scenic Scotland - Wrapping a monumental production on location in glorious Scotland.